It doesn’t feature an elegant or stylish look. In fact the typical square shape together with the black color code makes its look a bit dull. However, if you are looking for a small projector to compliment your Apple iPhones or iPods, the newly released iJector mini projector from Lancer Corporation could do the job. 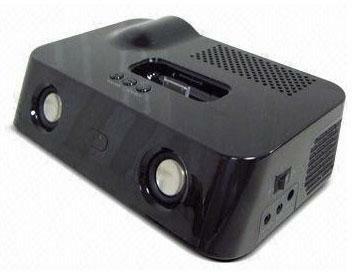 The Lancer iJector is priced for about $670, a fairly expensive price compared to many other projectors available.